For those of you who dont know what anime or manga is, Anime and Manga are a bunch of shows and books that are written by Japanease people. They are read backwards so they are like normal books and it sort of looks like a comic book, lots of people get the two mixed up. The range of Anime and Manga is wide, my favorites are ones like Vampire Knight or Naruto which is quiet popular. Also the genre has a wide range for lots of peoples different choices like romance, action, sci fi, vampires, fighting all those things people are into. Also most of these Anime's are in Japanease so you need to look up the english dubbed episodes which are done in english. All links are on the front page! 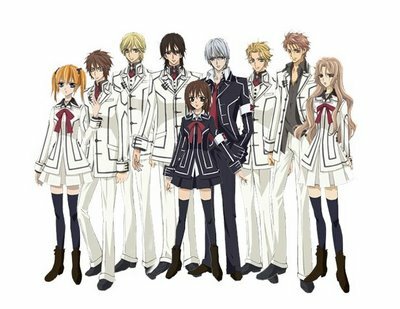 Vampire Knight - Cross Academy is attended by two groups of students: the Day Class and the Night Class. At twilight, when the students of the Day Class return to their dorm, they cross paths with the Night Class on their way to school. Yuki Cross and Zero Kiryu are the Guardians of the school, there to protect the Day Class from the Academy's dark secret: the Night Class is full of vampires. Vampire Knight is a Manga and a Anime, which means you can watch or read the series. Left to Right - Rima, Shiki, Ichijo, Kaname, Yuuki, Zero, Adiou, Kain, Ruke. Naruto - Twelve years before the events at the focus of the series, the nine-tailed demon fox attacked Konohagakure. It was a powerful demon indeed; a single swing of one of its nine tails would raise tsunamis and flatten mountains. It raised chaos and slaughtered many people, until the leader of the Leaf Village - the Fourth Hokage - defeated it by sacrificing his own life to seal the demon inside a newly-born child, whose origins are as yet unknown. That child's name was Naruto Uzumaki. Naruto is also an Anime and Manga. 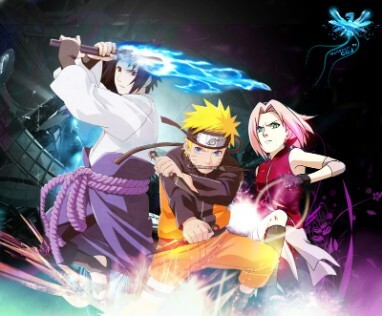 Left to Right - Susake, Naruto, Sakura. Vampire Kisses -The absolute last thing goth-girl Raven and her vampire boyfriend, Alexander, need is another hitch in their nighttime-only romance--but dark trouble hovers on the horizon when Raven and Alexander discover four freshly dug graves filled with empty coffins. When a crew of sketchy vampires takes up residence in Dullsville's lonely graveyard, Alexander finds this motley bunch led by his very own blood-sucking cousin, Claude Sterling. Shocking! Claude and his creepy crew can only spell out more problems for the pair, especially when Raven finds them in daylight in the very last place she could ever imagine. What could Claude and his invaders be doing--or searching for--in Dullsville? 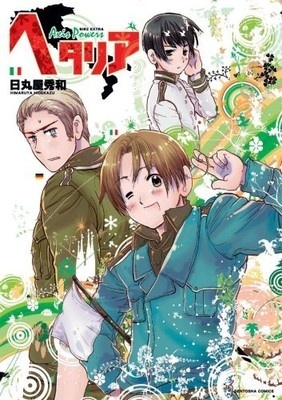 Axis Powers Hetalia - It's World War I, and all countries are at war. Germany is in search for Italy, Rome's grandson, and take him captive. Instead... he finds a box of tomatoes? Oh, no, it's just useless Italy hiding. But there was one detail someone forgot to mention. Italy is annoying. So Germany couldn't be happier when he got rid of Italy at the end of war. Now it is World War II, everything is going smoothly with Germany's invasion, when the worst thing possible happens. Italy becomes Germany's ally. And this is how our story begins. It is both a anime and a manga. 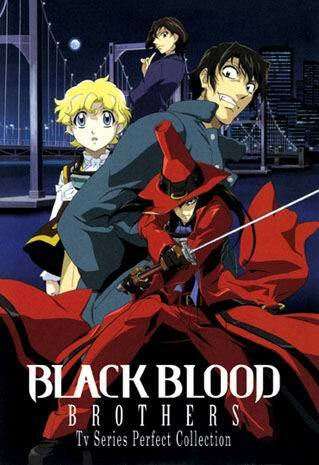 Black Blood Brothers - Ten years after the Holy War in Hong Kong, Mochizuki Jirou, aka the Silver Blade, and the lone hero who fought and defeated the Kowloon Children despite the loss of his lover, returns to Japan with his young brother, Mochizuki Kotarou. The two quickly discover that the Kowloon Children who survived the Holy War are seeking to infiltrate the "Special Zone" ,a thriving city protected by an invisible barrier that will not allow Kowloon Children entrance, unless they're invited. 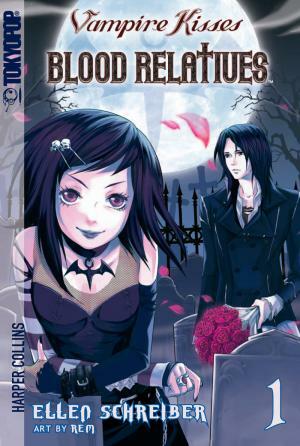 Red Bloods refers to the humans; Black Bloods are the vampires, and the Mochizuki Brothers are Old Blood, the last descendants of an elite clan of vampires. When Kotarou is abducted by one of the Kowloon Children, Jirou has no choice but to fight once more. There is an anime and a manga but you have to watch the anime before reading the manga.